Ashford, J.W., Rosen, A., Adamson, M., Bayley, P., Sabri, O., Furst, A., Black, S.E., Weiner, M.
Endorsed by the Brain Mapping Foundation. Alzheimer’s disease is a common problem that is becoming progressively more prevalent and burdensome to the world. Through better recognition of this disease and more precise diagnosis, led by brain imaging in the appropriate clinical context, it is our sincere hope that mankind can conquer this terrible disease. 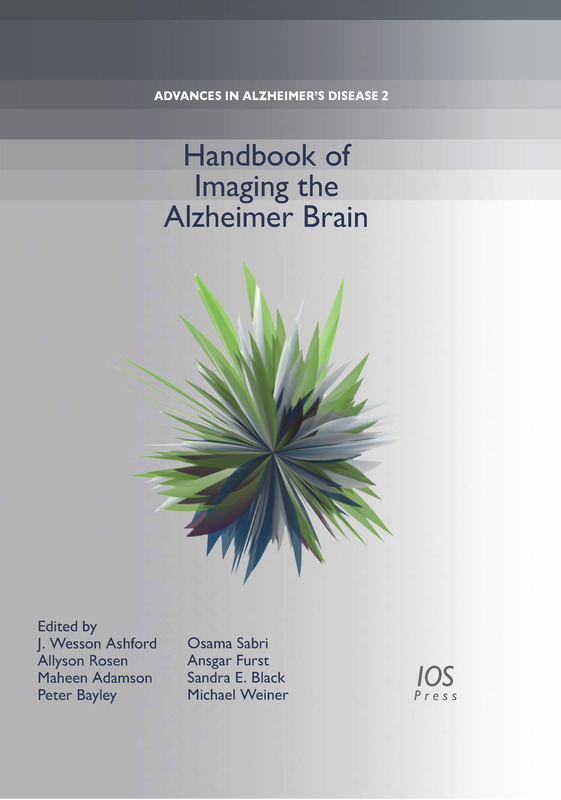 This handbook was developed to provide an overview of the state of the art of brain-imaging approaches that have recently emerged to reveal the critical characteristics of brains of patients with Alzheimer’s disease. It provides numerous chapters that examine this critical phase of Alzheimer’s disease, as well as chapters that discuss diagnosis, early biomarkers, late changes, the role of vascular disease, treatment, progression of the disease, determining the variability of the manifestation of Alzheimer’s disease, and estimating the utility of these metrics of disease severity for examining the effects of treatments. Each of 10 sections addresses a particular neuroimaging modality that has been found to be useful in understanding or diagnosing Alzheimer’s disease. Each section features an introduction to the particular technique and its potential for informing clinical care or evaluating novel therapies for Alzheimer’s patients. Chapters in each section provide clinicians with specific information as to how the particular neuroimaging technique is or can be useful in a clinical setting, from radiology to primary care, and address specific advances in the various types of neuroimaging. The book includes brief overviews of imaging of Alzheimer’s disease and reviews fundamental principles for neuroimaging pathological changes that it causes, with an emphasis on practical and future applications.